Traditionally services are called “funerals” if the casket or urn is present and “memorial services” if it is not. If the family wishes, our Special Functions Committee provides a meal or refreshments following the service. More information is available in the brochure found here. 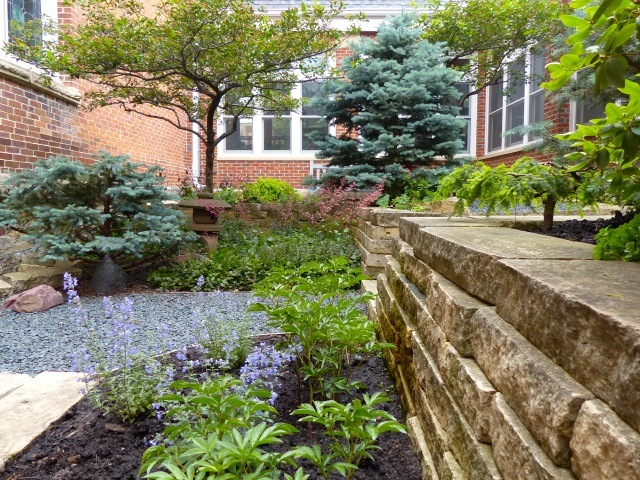 The church maintains a Memorial Garden in our central courtyard for the burial of cremated remains. Ashes are put directly into the earth, without individual markers. Names of those buried in the garden are on a plaque in the hallway adjacent to the door to the courtyard. More information is available in the brochure found here. Check made payable to First UCC with a note on the memo line that indicates the person being memorialized. This may be dropped off at the church, given at the service, or mailed to 300 Union Street, Northfield, MN 55057. Donate online by clicking here. Scroll down to the field labeled “Unrestricted Memorials.” Enter the amount of the gift in that field, then choose the frequency and date of your gift. At the bottom of the screen click the green “Continue As Guest” button. The next screen will instruct you to enter your banking account information and will guide you through the rest of the transaction. On the payment page, you will have an opportunity to fill out a gift memo; put the name of the person you are memorializing here. You should receive a confirmation email after.